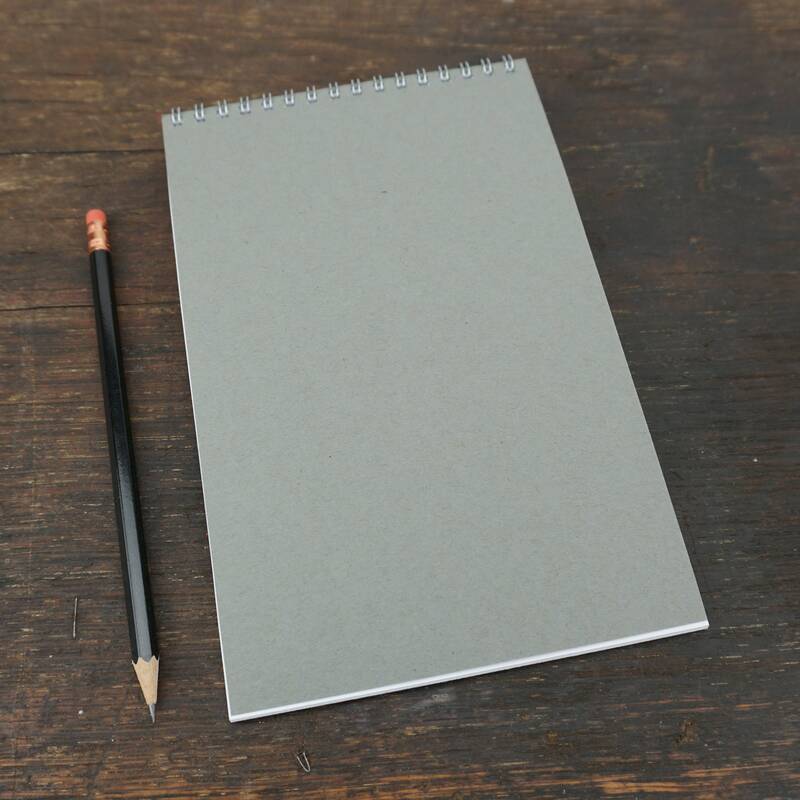 Gray wire-bound reporter style steno notebook with blank pages - 5.5 x 8.5 inch - great for to do list, notes, a quick sketch and so much more. Premium heavyweight recycled cover stock. 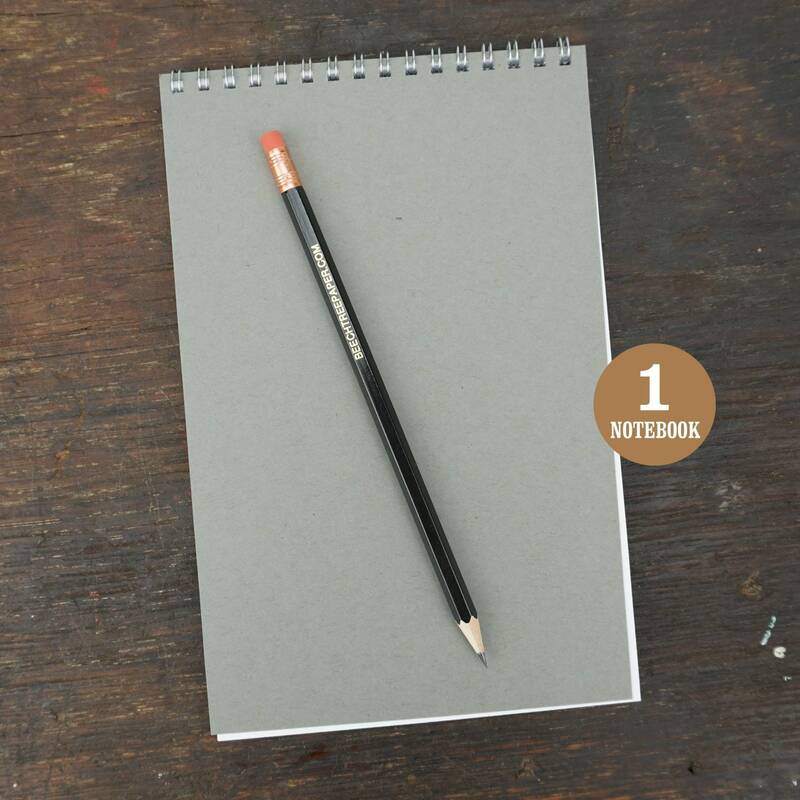 The gray blank interior pages are great for writing or drawing with a pen or pencil. 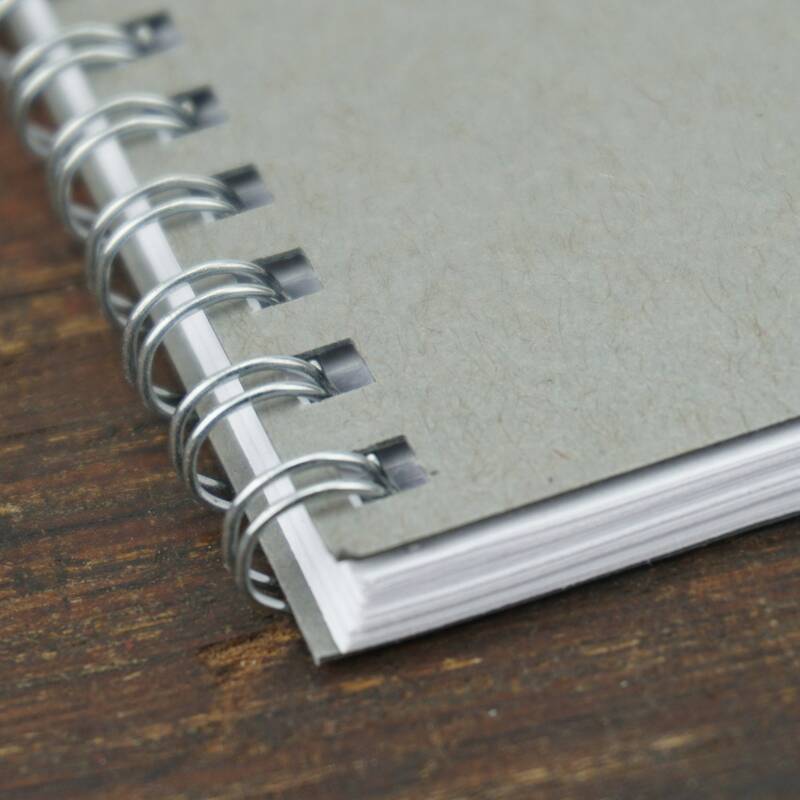 Assembled with silver wire binding on long edge spine.